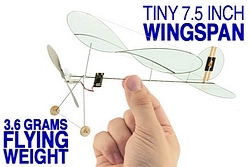 Micro RC Airplanes. 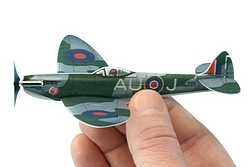 Fascinating miniature electric model airplanes. 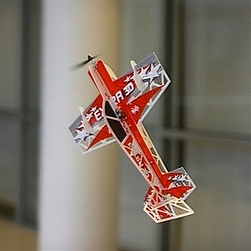 Ultra Micro RC airplanes can be used for indoor RC flying or can be extra fun outside, on dead calm days! 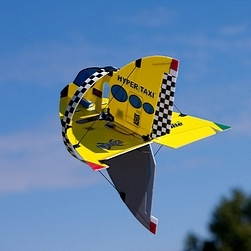 The fascinating photo shows just what is possible with today's technology, when applied to micro RC planes. 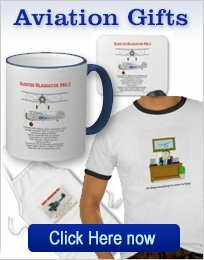 It shows the Parkzone DH Mosquito, twin engine WW2 warbird. Parkzone have a large range of micro RC airplanes, that can be flown indoors, in a large area such as a school gym or similar area. If winds are non-existent, then they can be a load of fun to fly outdoors, maybe on a quiet street, in front of your home! Please be careful if you try this and keep a sharp eye out for traffic! It is much safer to fly in your own backyard or a park. 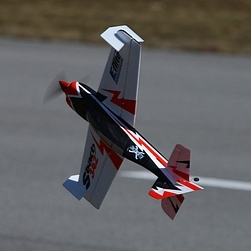 This page will concentrate on the Plantraco and E-Flite range of ultra micro RC planes. These are all of foam construction and some feature outrunner brushless motors and all use lipo batteries. These models have only been available for a few years and are very popular. It seems to be that almost every week a new model is announced and each one has more details and features, as the type improves. 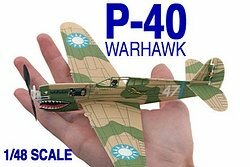 Almost all types of scale RC planes are represented, with a bunch of WW2 planes and quite a few RC aerobatic types. 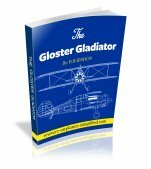 Some are easy flying and maybe make ideal RC planes for beginners, whereas others are definitely for advanced flyers with the ability to perform the most advanced 3D RC aerobatics. 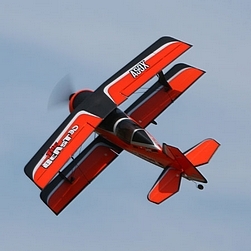 This Extra 300 is a very light and powerful RC airplane, that is fully capable of all the 3D maneuvers. Manufactured of foam, with a lot of lightening holes and covered on one side only, to keep weight to a minimum. Capable of extreme flying, indoors, in a large gym or outdoors in calm conditions. Visit this page for more facts. This is a nice looking scale biplane, that is fully capable of 3D stunts and you can fly it in your own backyard, when the winds are calm. Designed by Quique Somenzini, this model is beautifully detailed and flies like a little dream! 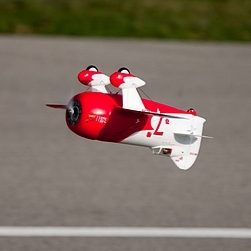 This photo, shows what is possible, with this micro RC airplane, in the right hands! This photograph shows, to good advantage, the remarkable abilities of this scale model! The AS3X stabilizing system makes this kind of flying, of this usually difficult flyer, possible for the average pilot. This vertical take off and landing machine certainly has a strange appearance! The "prop-in-the-slot, double delta, looks like an arrow and maintaining orientation is a major challenge! 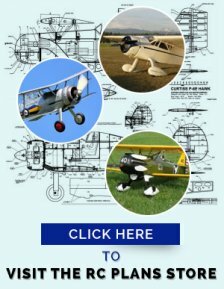 Plantranco has a whole range of micro RC airplanes and kits and components. As you can see here, they are truly micro!